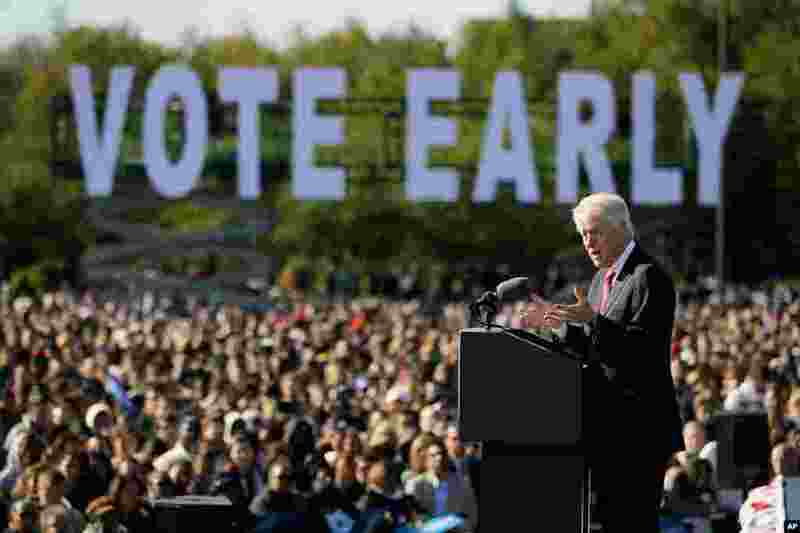 5 Former President Bill Clinton speaks at a campaign rally for President Barack Obama at the University of Central Florida, October 29, 2012. 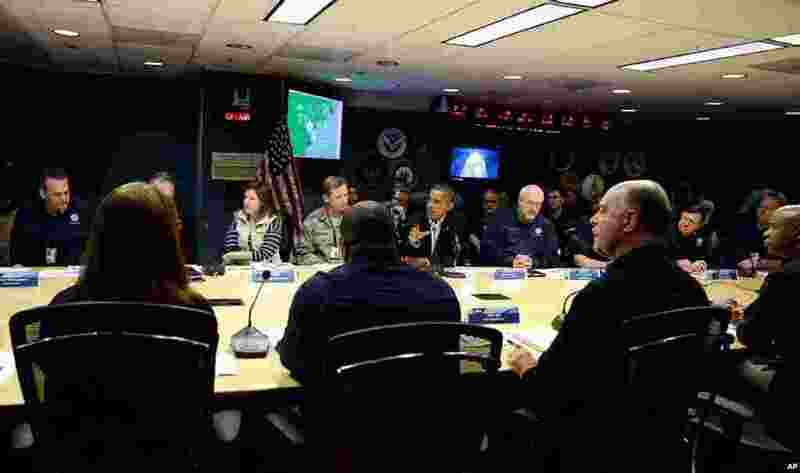 President Obama cut short this Florida stop to head back to Washington to monitor Hurricane Sandy. 6 President Barack Obama speaks during a briefing at Federal Emergency Management Agency headquarters in Washington, October 28, 2012. 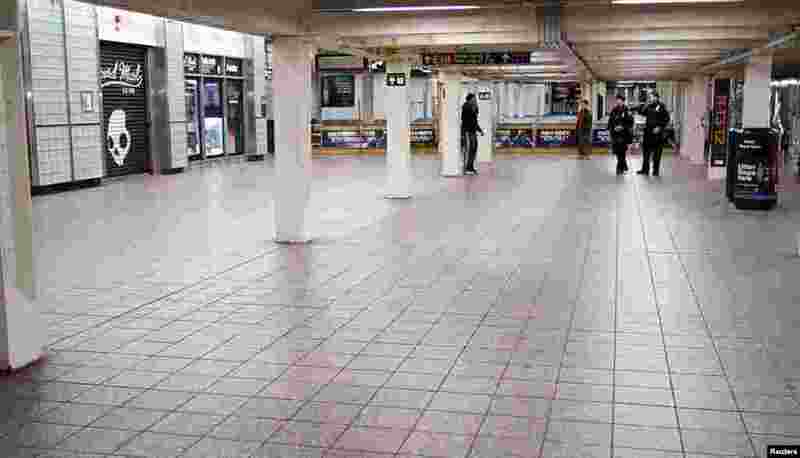 7 Police make a final sweep of the subway at Times Square in New York October 28, 2012. 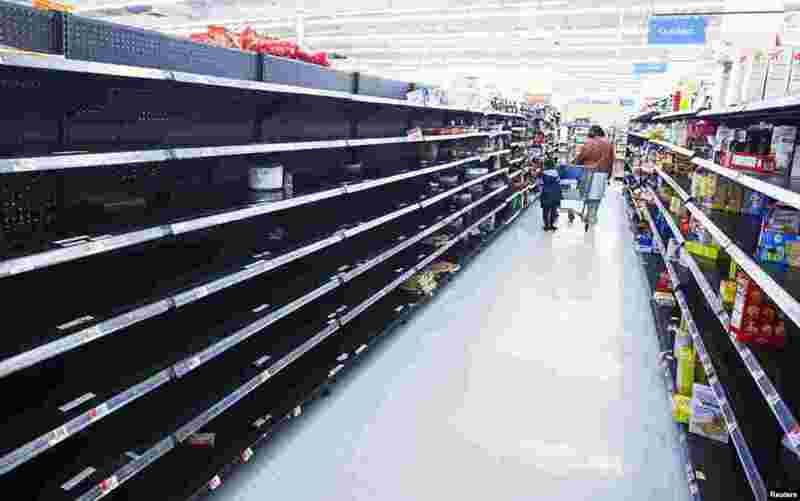 8 A woman and child walk through an aisle emptied in preparation for Hurricane Sandy, in a Wal-Mart store in Riverhead, New York, October 28, 2012.